Addendum: Congratulations to CINDY and DONNA whose names were chosen by a computerized random name picker as the winners of this contest! And thank you to everyone who took the time to visit and leave a precious story! We need a little Christmas, don’t we? I thought I’d spread a little cheer to you, dear readers, by offering a very special book giveaway today. If you’ve read my second novel, Then Sings My Soul, you know about the special significance of the doll within it. It’s not just any doll–it’s called a Motanka doll. I’ve always had a passion for Ukraine and its people, and in fact my ancestors came to America from that region around the 1880’s. 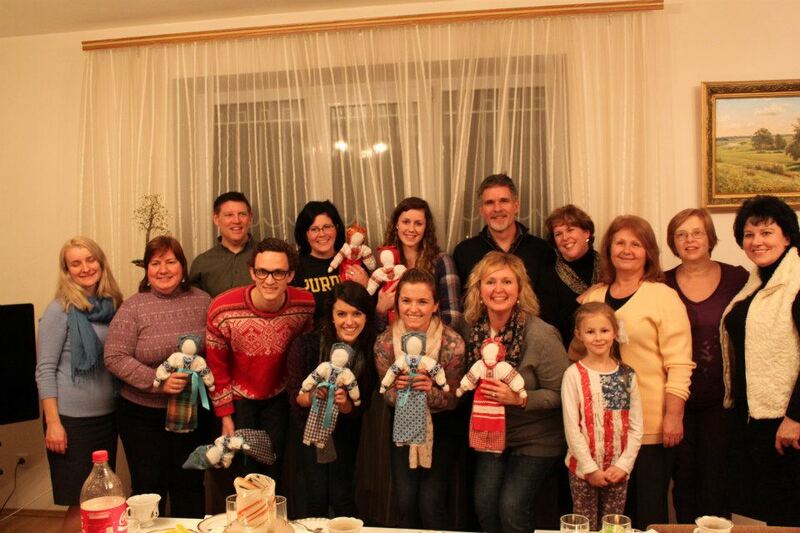 In January, 2013, I had the privilege of traveling to Ukraine with a team from Mission to Ukraine (MTU), whose work is transforming the lives of those who are the most overlooked in Ukrainian society. Through crisis pregnancy counseling services and a rehabilitation center that offers a wide array of medical, social, psychological, educational and therapeutic services, MTU is able to meet the community’s most pressing needs – both physical and spiritual. 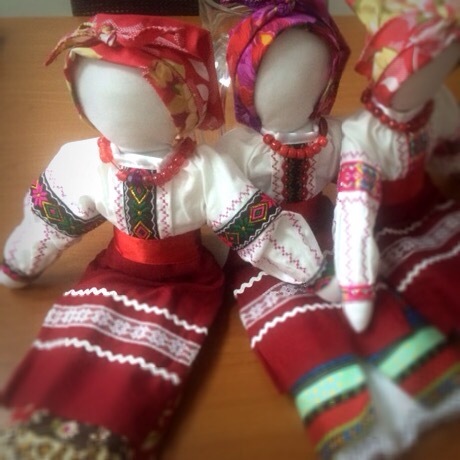 While I was in Ukraine with MTU, I was given my own Motanka doll which I cherish very much. 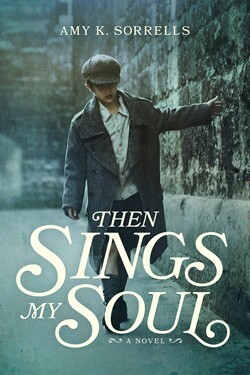 In fact, I was inspired to give it a special spot within the storyline of Then Sings My Soul. As such, I want to give one of these two dolls and a signed copy of Then Sings My Soul to TWO lucky readers this Christmas season. For a chance to win, leave a comment below. The contest will be open through Friday morning. Perhaps tell us about your favorite Christmas tradition, or whatever you’d like most about having a copy of the book and a doll. Please keep our precious brothers and sisters in Ukraine in your prayers this Christmas season and always. And click here for more information on Mission to Ukraine and how you can get involved with this wonderful ministry. P.S. If you haven’t subscribed to my author newsletter yet, I’d be much obliged if you would. 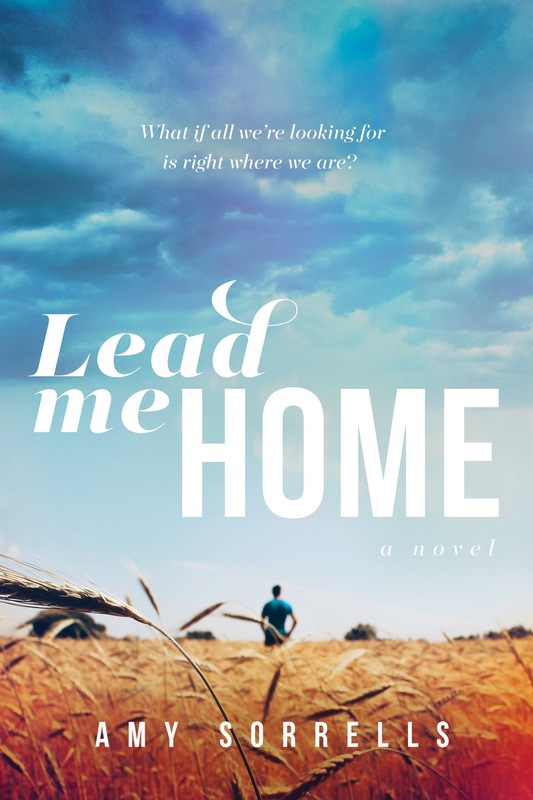 Not only do newsletter subscribers get special insider news into upcoming book releases, they’re the first to see my new novel covers and have access to giveaways like this one, too. I think my favorite Christmas tradition was going through my stocking and finding an apple and an orange at the bottom. My grandmother put them in there. These days, apples and oranges are plentiful, but in her day, during the 1920’s and the Great Depression, they were a luxury. She was trying to teach us to appreciate the little things and never take anything for granted. That is so precious, Veronica! Oh, that we’d be as grateful these days. Thank you for visiting and I’ll notify winners Friday! Thanks again for entering, Veronica. I’m sorry you didn’t win. Please visit again soon and have a blessed Christmas! My favorite Christmas tradition was watching each family member open their gifts and seeing the joy on their faces. I was 14 when my youngest brother was born and even though I married and moved, he still did not open any gifts until I got there Christmas morning. These were special memories that mean even more since he went home to Heaven in April of this year. It will be a hard Christmas for my family, but we have peace in our hearts knowing he is safe in our Father’s arms. 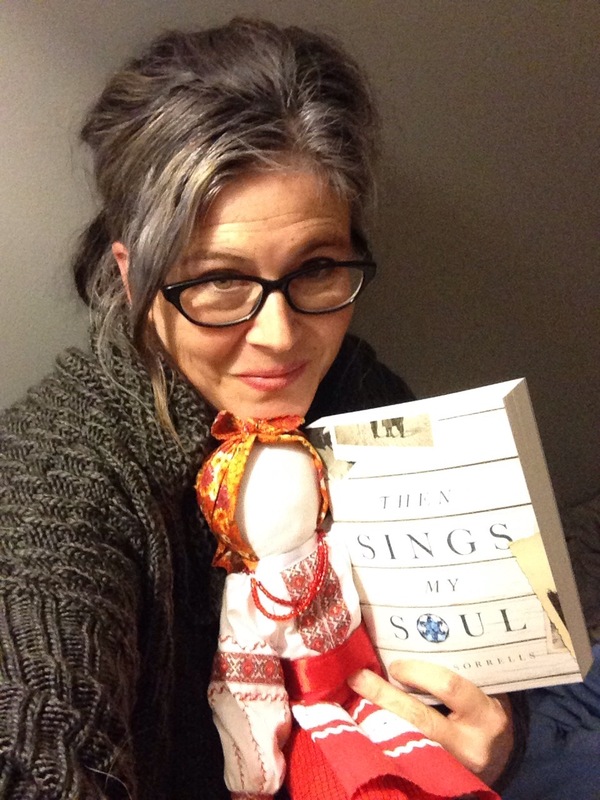 I would love to win the book and especially the doll for my Mom. She collects both. Thank you for sharing this, Donna, and I’m so sorry about your brother. May the Lord comfort you and your mom this season especially. Thank you so much for this blessing, Amy. I can’t believe I really won!! My Mom will be so excited. She doesn’t have any doll like this in her collection and I can’t wait to show it to her. Merry Christmas. You just made it a little brighter for both of us. Hello Amy! I would like to thank you for this amazing opportunity and I would like to tell you that you have such a big heart full of love for the other people! I can see this, just reading your words! This cause is really important for you and I’m so happy to know that there are lovely, good and generous people like you!! This makes me so happy!! When I think about Christmas I always think that is one of the best day during the year because since I was a child me and my family celebrate on the 24th with a dinner and on the 25th with a huge lunch! And we cook all together from the early morning and everybody cooks or brings something delicious to eat!! We have always celebrated at my grandmas house and even if She is not with us anymore we continue to celebrate at her house because we feel that she is there with us cooking her special recipes!! We always keep an empty chair for her so that we know that she is celebrating Christmas with us! Moreover she was born on the 25th of December so we love to celebrate her birthday as well! The funny thing is that her name is Natalina (in Italian we call Christmas “Natale”)!! I miss her so so much! But I’m sure she’s always watching us from the heaven and she will be with us forever!! I will pray for our brothers and sisters in Ukraine. Thank you again for this fantastic chance!! Lots of love and kisses from Italy! Beautiful traditions, Guilia, and thank you so much for sharing them with us here! Merry Christmas blessings to you! Thanks again for entering, Guilia. I’m super sorry you didn’t win. I’ll have other contests after this. Have a blessed Christmas! Christmas is a wonderful time and we need to keep everyone around the world in our prayers. That is the way this world will be a better place for all. Oh how the world needs our prayers, indeed! Thank you, Peggy! Thanks again for entering, Peggy. I’m sorry you didn’t win. Please visit again soon and have a blessed Christmas! My favorite thing about Christmas was always going to my great-grandmother’s house over an hour away. We’d open presents at home and then eat breakfast before heading down to her house. The atmosphere was always so homey and loving. We’d see family that we hadn’t seen for a year and family we just saw a week ago. It would be loud, but loud with happiness and laughter. There would be thank you’s going all around we everyone opened gifts. I remember the last Christmas ther especially, before my great-grandmother had her stroke (she passed away in March of last year). It was such a happy Christmas, so much love going around. I can just remember seeing my great-grandmother (Old Mema, as us kids called her) sitting in her glider rocker opening this huge flat screen tv and being so surprised and grateful, as her eyes weren’t very good anymore. That was such a precious Christmas. Wow, Katie, such a precious memory. Thank you so much for blessing us here with the warmth and love of it. Merry Christmas! Thanks again for entering, Katie. I’m sorry you didn’t win. Please visit again soon and have a blessed Christmas! Oh I would love to receive this book. Thank you so much for the chance to read it. My favorite time was going to be with my Grandmother around Christmas time though she lived in the same town as I did and I was at her home weekly. She was my safe haven, rock, teacher, best friend and Christian teacher/example of a loving, quiet, soft-spoken angel and when she talked you listened. I never in my 13 yrs while I had her on this earth heard her raise her voice. I miss those hot-chocolate marshmallow nights watching Christmas stories or listening to her read. She keep the TV off all the time unless there was a special program on mainly Billy Graham or old Christmas movies with good story lines. I miss her every day but her teachers went from my to my son who has a Master’s in Divinity. She lives in my heart daily! “…hot-chocolate marshmallow nights watching Christmas stories or listening to her read…” So precious, Amy! Thank you for sharing and best of luck in this contest! Thanks again for entering, Amy. I’m sorry you didn’t win. Please visit again soon and have a blessed Christmas! I just love the way you are paying it forward. Giving to others gives the most joy in life and especially touches one’s heart. We should all count our blessings in life and say prayers for all. Merry Christmas and Thank You for the contest. Hello, Cheryl, and thanks so much! Yes, we should count our blessings and pray, indeed. Merry Christmas! Thanks again for entering, Cheryl. I’m sorry you didn’t win. Please visit again soon and have a blessed Christmas! That is a lovely doll and would look good in my library, where several of my other dolls live. They like the books. That’s so adorable, that your dolls like the books. 🙂 It’s always nice, even though this isn’t a children’s book, to have something tangible that reminds a person of the story, like this doll from Ukraine. 🙂 Thanks so much for visiting! Thanks again for entering, Susan. I’m sorry you didn’t win. Please visit again soon and have a blessed Christmas! A wonderful post and giveaway thank you. We have so many traditions but I think that decorating the Christmas tree has to be my favorite. Thanks again for entering, Mary. I’m sorry you didn’t win. Please visit again soon and have a blessed Christmas! My favorite Christmas tradition is decorating the tree with all my kids while we sip hot chocolate and listen to Christmas music. I also give them each an advent calendar with special gifts and verses. Each year I try to find a special nativity or ornament to mark the year and I would be honored to add this doll to my collection. Thank you. Hi Cindy, and thanks so much for sharing your memory. I love the advent calendars, too…and trying to infuse the season with Jesus is so important. What special ways you have of doing so! Merry Christmas! Thanks again for entering, Daria. I’m sorry you didn’t win. Please visit again soon and have a blessed Christmas!